Thank you Rolling Thunder Racers!! Rolling Thunder Racers donate $800 to the Missoula County Boys and Girls Club. Thank you to all racers for making this happen! Sam Schultz and Lisa Curry won Rolling Thunder under the lights Saturday night. 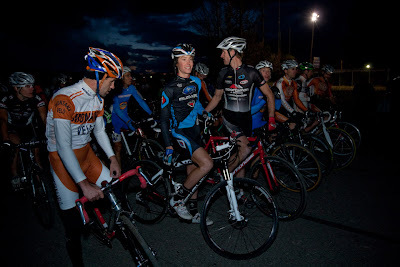 The 4th annual Rolling Thunder nighttime cyclocross race was held on crisp fall night in Montana. Kevin Bradford-Parish and Defending champion Sam Krieg gave Schultz all he could handle. Also, racing was Craig Richey, John Curry and Kenda rider Andy Schultz. The beer was flowing and the music was blasting. 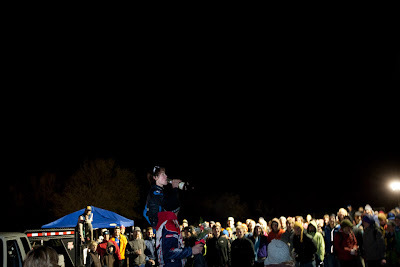 The crowd had just finished performing their Michael Jackson “Thriller” dance. The whistle blew and Cycling House rider Owen Gue grabbed the hole shot. He led for the first two laps laying down a furious pace. The lead group was Schultz, Krieg, Bradford-Parish, and Owen Gue. Krieg attacked through the finish area and dropped Gue from the leaders. Then Schultz went for the kill shot, stomping on the pedals of his mountain bike. Defending Champ Krieg who’s recovering from a shoulder injury couldn’t stick with the Subaru Gary Fischer rider. In an impressive show of defiance Kevin Bradford-Parish would not let Sam ride away. Both Schultz and Bradford-Parish were riding the run- up. KBP stuck with Schultz for the rest of the race and lost at the line by a couple bike lengths. Krieg came home in third, and Gallatin Alpine Sports riders John Curry and Brian Frykman finished 4th and 5th. The ladies race contained several top regional riders. Defending masters national champion Kris Walker, Jenni Gaernter, Amy Frykman, Zephanie Blasi and pre-race favorite Lisa Curry. The technical course favored Curry. The deciding moment in the race came on the 180-side hill section. Riders bottlenecked at the top allowing Curry to grab 25 meters. 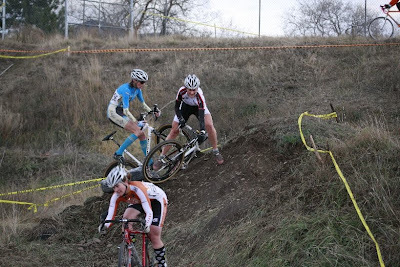 That’s all this Bozeman rider needed, as she turned 25 meters in to 300 meters by the finish. Also, helping Curry was her ability to ride the run-up. 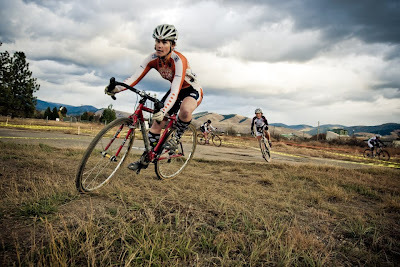 She came home in first place followed by Kris Walker, Jenni Gaertner, Amy Frykman, and Team Kenda mountain biker Zephanie Blasi. Sunday’s race was on a faster track just down the street from Rolling Thunder. Greased Lightning started with a bang. Amy Frykman stole the show in the ladies race beating out Kris Walker. Patricia Dowd was third. The men’s race saw Craig Richey dominate the field. 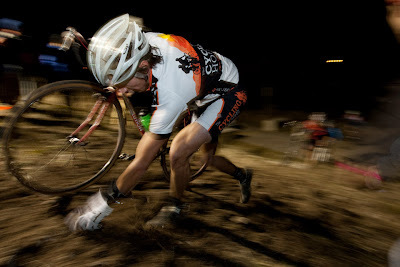 After a mechanical took him out of contention the night before, Richey started out hot and didn’t look back. Sam Krieg hung with him for a while, but the Blue Cycles rider was just too much. Third was John Curry, closing out a consistent weekend.